We’re hungry! When is mom going to return? . . . . These fawns are busy grazing and don’t seem to mind that they have been left in a “nursery” of sorts while the female deer, or does, are searching for food or a drink at the pond. They seem to be faring quite well, in spite of a hot, dry summer with little rain to keep the grasses growing. Soon they will be browsing on leaves and tender branches from the trees and bushes in the area. 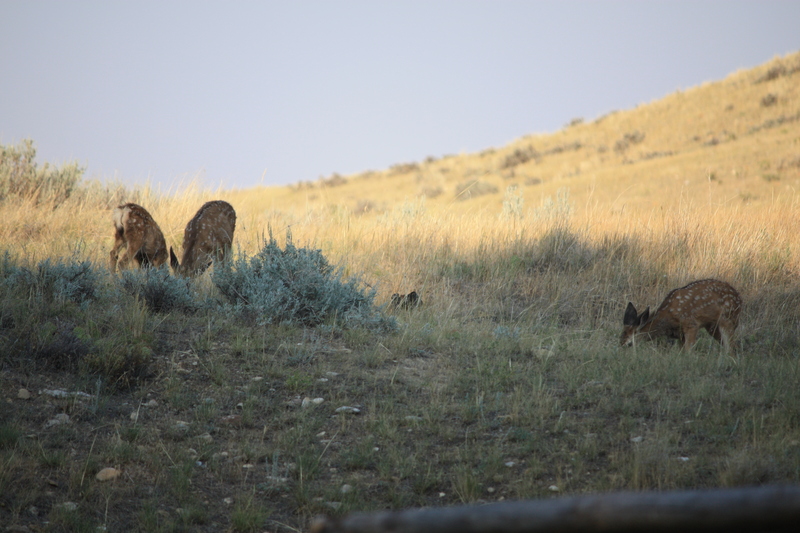 We hope there will be enough forage for these fawns to thrive and survive their first Wyoming winter! GREAT STORY!! LOVE YOUR ANIMAL KINGDOM STORIES..